"The bigger the bill, the harder you ball"! 1. Sir Richard Branson Kt. He's worth $5.4 billion, founded and continues to run the multi-billion dollar hugely successful global brand Virgin Group (which consists of over 400 companies worldwide BTW) and still manages to find time to indulge in extreme sports like kite-surfing. HOW?! Maybe it's all the chilling on his private British Virgin Islands retreat, Necker Island that gives him the energy to do it all. Or maybe it's because he has his pick of luxury villas and lodges all around the world to unwind in after a long day. Whichever it is, we're totally jealous! Read all about Sir Richard's most memorable adventures in life here. This woman needs no introduction, the only way you haven’t heard of her is if you’ve literally been living on another planet. She started off as a talk show host but her immense popularity and success led her to extend her media reach which now includes her own radio channel, production company and TV network. Her list of achievements is endless: co-authored 5 books, nominated for a Best Supporting Actress Academy Award for her debut acting performance in ‘The Colour Purple’, awarded the Presidential Medal of Freedom by President Barack Obama… yeah if we keep going we’d end up writing an entire story about her. Not to mention, there’s 'The Oprah Effect' a.k.a the phenomenon where anything Oprah endorses or recommended gains immense popularity with consumers and ends up selling out almost immediately! Now that’s some star power right there. So how does this overachiever let loose? By going on fabulous luxury cruises, just chilling out at one of her 9 (yeah seriously 9!) sprawling mansions located all over the United States or hopping on her private jet for fun, exciting getaways. Oprah, take us with you please! 1. Legendary K-pop solo artist of the 90s (kind of like a Korean Micheal Jackson). 2. Founder and CEO of JYP Entertainment, one of the top entertainment companies in Korea that's worth over $100 million, notable for housing crazy popular K-pop groups like 2PM, GOT7, Miss A and Wonder Girls. 3. Top K-pop solo artist who continues to slay the competition and dominate music chart rankings despite taking 6 year hiatus from 2001 to 2007. 4. Award-winning songwriter and producer; first Asian producer to successfully crossover to the U.S to work with American superstars like Will Smith, R.Kelly and Cassie. 5. Collaborated with Conan O'Brien and Steven Yuen on his most recent music video which went viral. Oh did you think we were talking about 5 different people? Nope, all of those descriptions are for the one and only Park Jin-Young or better known as JYP. As if all those accomplishments weren't enough for us to be seriously impressed, we found out that his version of "unwinding" includes playing basketball with professional players and partying with some of the biggest celebrities in the Korean entertainment industry. That it, we're calling it, JYP is the definition of LEGENDARY! When this three-time Formula 1 World Champion isn't busy leaving his competition in the dust and sweeping up titles and trophies, you can probably find him in a recording studio. Yep, you read that right. RECORDING STUDIO! Which okay, we totally get. Having more race victories than any other British driver in the history of Formula One and ranking third on the all-time wins list doesn't come easy. But if you're lucky, maybe you'll catch him strumming on his guitar in between races, something he apparently does to relax himself. 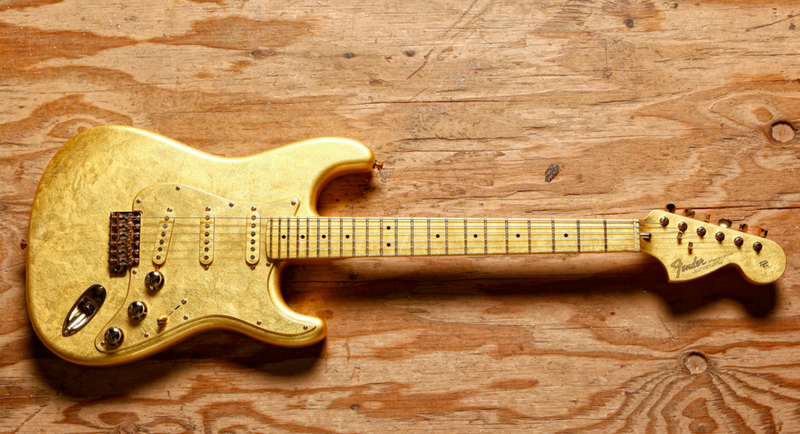 Though we're pretty sure that you won't be seeing him using the custom gold-leaf Fender Stratocaster guitar he spent $100,000 on. What? Don't judge him okay, we all have our weaknesses that we can't help spending on. Plus, that particular guitar once belonged to the late legendary pop-star Prince so #totallyworthit. With an estimated net worth of $70 million, Heidi has definitely made a name for herself in the entertainment industry as so much more than just a pretty face. She's a model, television host, businesswoman, fashion designer, television producer, AND actress. WOW we can only wish that our CV's were that detailed and impressive! If that wasn't enough, she's also a huge philanthropist as she makes sure not to forget to give back to society by being hugely involved with various charity organizations. In 2014, the American Red Cross awarded her with the Crystal Cross Award for her extensive contributions. Her hobbies reflect just how versatile she is, this mother of 4 loves to dance and is an avid painter. And we don't mean at an amateur level, several of her paintings have appeared in various art magazines. She even dedicated a painted sculpture called 'Dog With Butterflies' to honor the efforts of rescue dogs during the aftermath of the September 11 tragedy. Just how many talents do you have Heidi and could you donate some to us please? Sure it's tough and hectic but as long as you have fun along the way and are happy at the end of the day it's all worth it right? So you totally wanna take after your new role models by working all day and partying all night now right? You're definitely gonna need something to keep you going. Trusted by Malaysian's for years, BRAND'S Essence of Chicken is scientifically proven to improve alertness and relieve fatigue to give you that boost you need to get through the day without burning out. Take note, before it's too late. Lee Seng Hoo has turned himself into The Joker, The Grinch and even The White Walker from Game of Thrones! A SAYS exclusive with Shona Sinha Roy, a domestic violence victim.